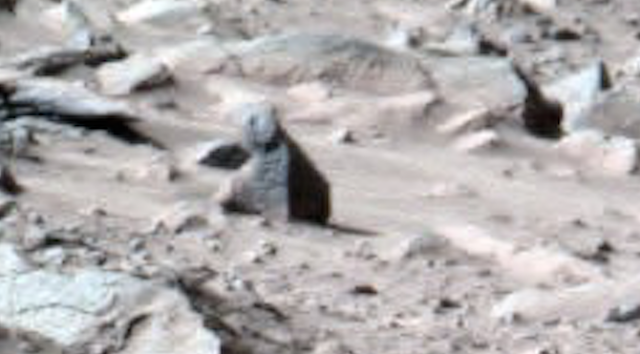 UFO SIGHTINGS DAILY: Pyramid With Visible Seams Of Construction On Mars, Feb 2016, Photos, UFO Sighting News. Pyramid With Visible Seams Of Construction On Mars, Feb 2016, Photos, UFO Sighting News. 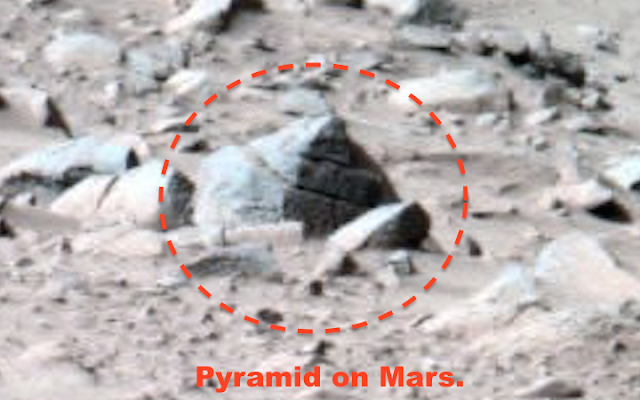 I found a pyramid on Mars. You can see that it has seams between the stones and that they were evenly spaced with perfect precision. I'm sure that sounds odd, but hold onto your hats. This pyramid is only 1 meter tall. Yeah...so that would make the inhabitants of this area a few inches tall. This explains why its so difficult to find writing if they hieroglyphs are only a fe millimeters in diameter. I also found another structure with a head on its top and hieroglyphs on it. These hieroglyphs are about 3-5 inches in diameter and there are several written across this object. Next I found a three sided structure with one wall missing. It looks like an entrance for a vehicle, but hard to tell for sure. 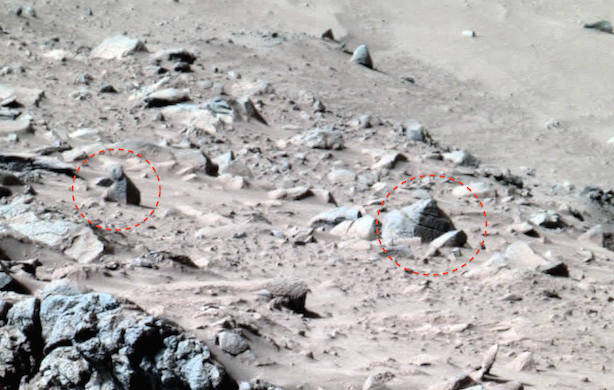 Remember that woman figure on Mars, and I tried to tell the press about the other two figures just inches from it? They were only about 2-3 inches tall, yet you could see the green of their cloths and the pink of their hands and face. 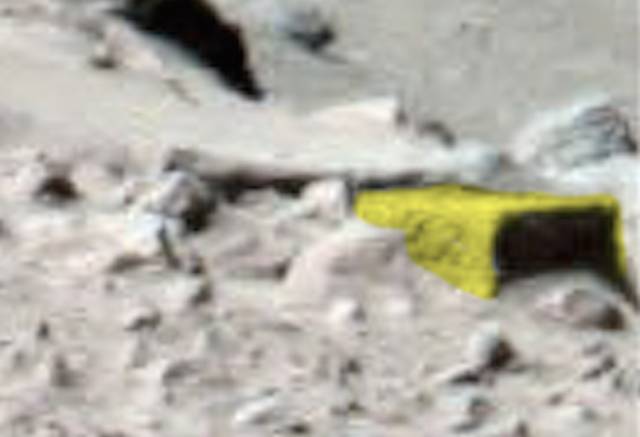 The above and below structure shows a head and writing on it.